Ok, that’s it! 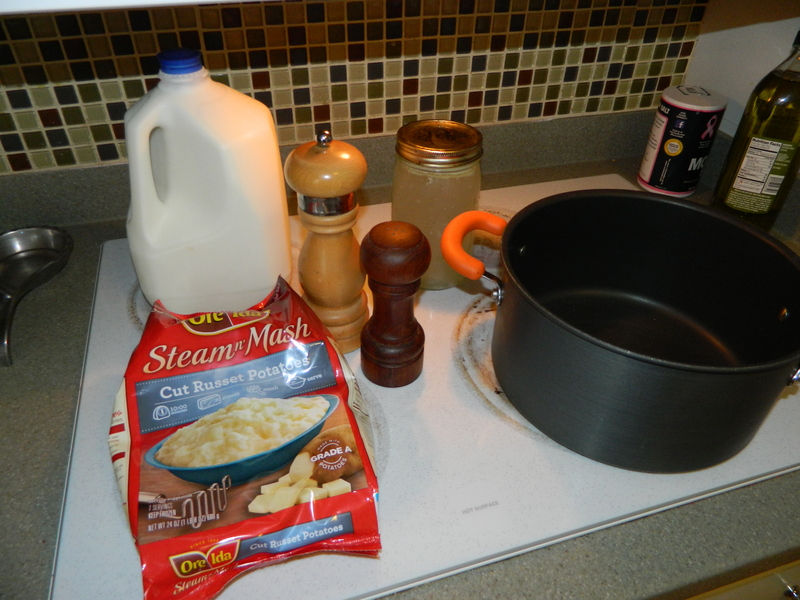 I wouldn’t normally have the potatoes pictured, but you know i’m a coupon queen–so i paid $1 a bag for those! 😉 So, if you don’t have steam n’ mash (basically already cut and cubed) potatoes, just peel (or don’t depending on your taste), cut up, boil in water until fork tender. You don’t even need to drain them, i would start with mashing the potatoes in the water they were cooked in and go from there with the milk & chicken broth. 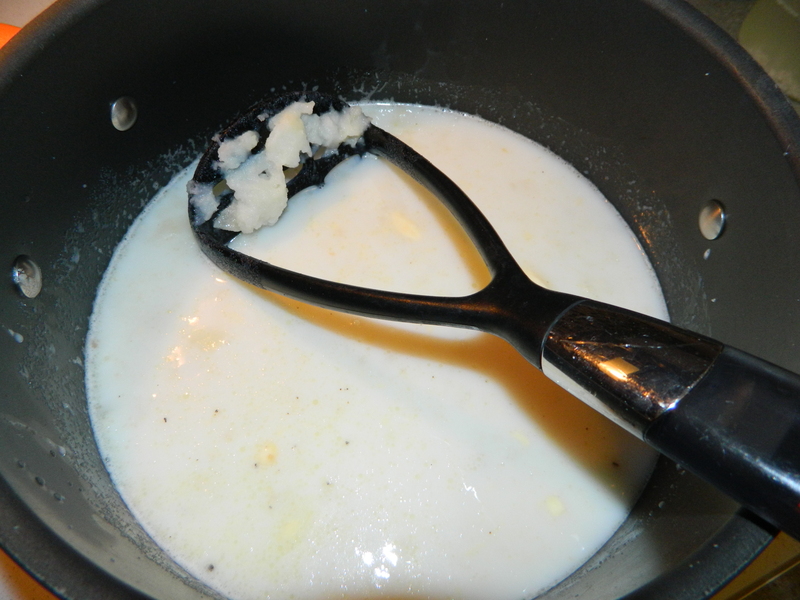 Next, add equal ratio’s of milk and chicken broth, salt and pepper to taste, and a pat or two of butter. Then mash up with a potato masher until smooth. 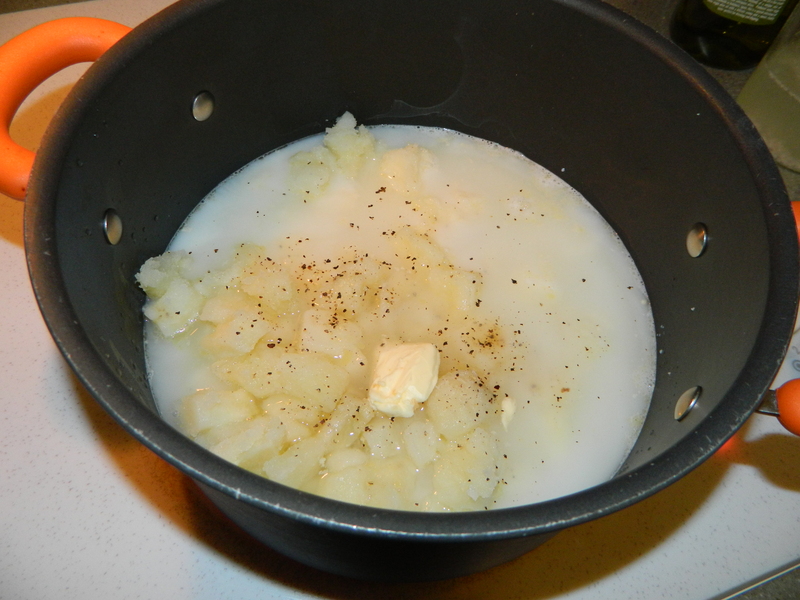 If the soup is to thick add more milk and/or chicken broth. You could also add any other spices you like here (garlic, parsely). That’s about it! Wasn’t that easy? This soup is best served with green onions, bacon and cheese to go on top. You can see here that i only had cheese, but whatever works! 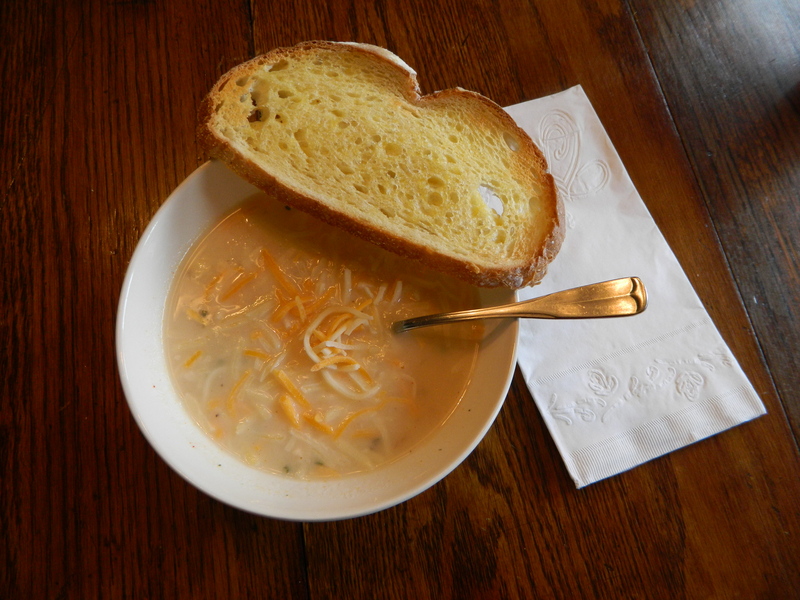 If you have any bread laying around, butter it up and broil in the oven until toasted and ta-daa, dinner is served! This meal is really cheap, how cheap? I don’t know, but i know you’ll love it! This looks really great! I love potato in soup. Yay for potato soup! You’re right, it’s ridiculously easy and so yummy. I like your method!